IKEA Australia is electrifying its entire fleet with a commitment to have quit internal combustion engines for all delivery and assembly vehicles nationally by 2025. IKEA Australia has a fleet of around 100 trucks to swap for EVs. 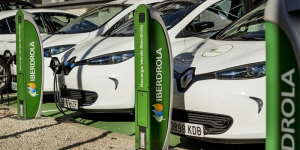 The Spanish energy provider Iberdrola has signed a cooperation agreement with Swedish furniture giant Ikea to set up more than 50 EV charging stations at Ikea stores across Spain by the end of next year. The Swedish furniture manufacturer has announced ambitious goals for their sustainability strategy for 2030. The goal is to electrify 25% of deliveries by 2020, and to completely electrify the delivery fleet by 2025. 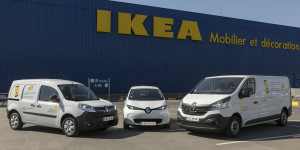 Renault is starting a cooperation with Ikea in France to provide a car-sharing service, and is providing about 300 commercial and utility vehicles, including some EVs. 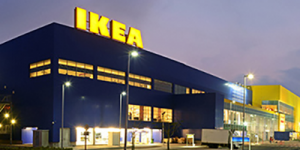 The service is set to be introduced by September to eventually include all French Ikea franchises. It is not every day the EU hears someone asking them to give them stricter regulations and this time, it is neither citizens nor environmental organisations but industrial heavy weights. Those dealing in deliveries brought by trucks want tougher rules so that they can come clean. Ikea, LeasePlan, Norway, Japan, UK, BMW. Ikea’s and LeasePlan’s EV strategy: 10 multinationals founded the initiative EV100 (as reported) and publish now step-by-step details about their individual electrification plans. LeasePlan for example intends to switch to an all-electric fleet by 2021. 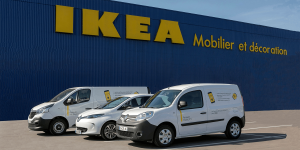 Ikea has announced to replace combustion-powered company cars at 355 sites in 30 countries through fully electrified vehicles and says it would expect that also from partner companies responsible for its deliveries. Additionally, Ikea wants to equip every store with charging stations for employees as well as for clients. Norway launchs EV infrastructure programme: The Norwegian government approved funds to promote the implementation of fast-charging stations, according to the BusinessPortal Norwegen. The new programme will support municipalities with less than 2 fast-charging points by contributing 40 percent respectively 200,000 crones for every new triple charger. Japan to relax regulations for H2 stations: Next year, the Japanese government intends to reduce regulations for the implementation of hydrogen filling stations in order to halve the installation and operational costs until 2020, Nikkei has learnt. The cabinet’s aim is to increase the number of H2 stations from 91 today to 160 in 2020 and up to 320 in 2025. How to lower freight emissions: The UK’s government raises 15m pounds for domestic companies presenting solutions to reduce freight emissions. Roads Minister Jesse Norman says the aim is to support research into low emission technology for lorries as well as cars and vans. Official provider of BMW’s portable chargers: AeroVironment has been chosen by BMW of North American to provide BMW- and MINI-branded accessory EV chargers. The system provides two chargers in one, enabling flexible dual-voltage (120 V or 240 V). IKEA charges Norway: The furniture company announced that it will equip all of its stores in Norway with fast-chargers, starting with its location in Slependen. IKEA has already launched similar initiatives in Austria, Germany, Switzerland, Canada and the U.S.
Vienna plans 1,000 chargers: The installation of the first 500 will start mid-2017 in the 2nd and 16th district of the Austrian capital. Over the following two years, the network will then grow step by step to reach 1,000 units. How much it will cost to plug in is still being discussed. But EVs will not have to pay a parking fee while charging. Last mile innovations: With project SMILE (Smart Last Mile Logistics), Hamburg is looking to become a European model region for sustainable and clean package deliveries. Businesses and the city of Hamburg presented a number of intelligent last mile delivery systems, including the use of electric vehicles. The proposals will now be implemented step by step. New kind of pump: ITM Power is installing the UK’s first hydrogen fuelling pump at an existing petrol station. The Shell station is located along the M40 in Beaconsfield and will go into service early 2017. Green fleet: Panasonic says it was able to cut its fleet’s emissions by 37.5 percent in the UK since 2008. The company employs 19 plug-in and ten pure hybrids in the country, which together make up about 20 percent of the fleet. Another three PHEVs have already been ordered. Switzerland, IKEA, New York, Supercharger, Seattle. Swiss charging alliance: A number of infrastructure providers such as Alpiq, Renault, BKW and others will join forces from 2017. The new platform called MOVE will then include more than 300 chargers and will make up the largest public charging network in Switzerland. EV drivers can pre-pay or get a subscription to use the chare points. Free energy while furniture shopping: IKEA now has a total of 72 chargers at its nine locations in Switzerland. All can charge with 22 kW and are free to use. Meanwhile, the branches are urged to get at least one electric car the next time they renew or add to their fleet. Chargers for the Big Apple: The city of New York will kick off a pilot project, installing 25 public EV charging points across the city by March 2018. There will be at least two in each borough. The project is also a move to show President-elect Trump that the city will continue its war on climate change. Shop and supercharge: Tesla is working with supermarket chain Hy-Vee in order to tighten the Supercharger network in the flyover states in the U.S. Eight chargers along the I-80 in Iowa have already been installed, with more to follow. Hybrids convince: Seattle’s fire department is happy with the results of recent fuel efficiency tests of ambulances retrofitted with hybrid drivetrains form XL Hybrids. So happy, in fact, that they now ordered another 10 hybrid vehicles for their fleet. Ecotricity, Berlin, EasyMile, Hallywood Limousine Services, IKEA. UK rapid chargers now with cost: From Monday, Ecotricity will charge for the usage of its 300 rapid-chargers along British motorways. For a 20 minute plug-in, the infrastructure provider will charge five pounds. E-bus in the capital: Berlin now has an electric sightseeing bus for tourists. The old diesel-powered bus was retrofitted with an electric drive. The conversion cost 200,000 euros and was paid for with city tax money. Operator Berlin City Tour is planning to retrofit other buses as well. Driverless: Starting next month, Japanese internet company DeNA wants to offer an autonomous shuttle service in a large park near Tokyo using the electric EZ10 from EasyMile. How many shuttles will go into service is not clear, but two of the EZ10 will be used for a three-month pilot project in the Dutch municipal of Ooststellingwerf. Star-studded: Hollywood Limousine Service from Canadian Winnipeg has acquired 13 Tesla Model S and 3 Model X. The goal is to eventually replace all of its limousines with Teslas. More IKEA plugs: The IKEA location in Las Vegas now features three charging stations from Blink. The chargers can be used with an RFID card from Blink or as a guest via the Blink-App. It is already the 14th IKEA store in the U.S. that now offers a place for EVs to plug in. BlueIndy, CarSharing, IKEA, UPS, Alliant Energy. BlueIndy kick-off: As you read this, the first EVs should be rolling on the streets of Indianapolis, as the BlueIndy carsharing scheme started on Wednesday. The Bolloré BlueCars can be found at 25 stations across the city, as well as at the airport. For those in the area, local news station WTHR summarized how the sharing concept works. Charger plus battery: CarSharing and Technology with Spirit (TWS) signed a deal allowing the former to offer TWS energy storage and rechargeable battery solutions with its EV charging solutions. CarSharing therefore provides a comprehensive solution to reduce energy costs, as the storage systems can be used to stabilise peaks of consumption. 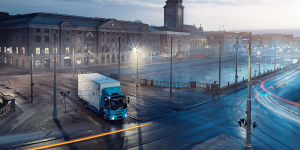 IKEA drives electric: IKEA containers arriving in the Port of Los Angeles will be unloaded using the ElecTrucks, an all-electric drayage tractor with a range of up to 100 mi. That is enough to reach IKEA stores in the area, which is why the programme may soon include electric transport of the beloved furniture and accessories. Parcel by e-bike: UPS is extending its pilot programme using electric cargo bikes to deliver parcels in Basel, Switzerland, following the projects recent success in the city of Hamburg. The e-cargo bikes are just three feet wide, feature a 250-watt battery, and can carry up to 330 pounds. Demo storage project: Alliant Energy is setting up a solar energy storage demonstration project in Wisconsin, USA. It will feature 1,000 solar panels, a storage system and 13 EV charging stations. The panels will i.e. be used in solar parking canopies, covering some 50 parking spots. The project’s first phase is expected be completed by the end of 2015. Chargemaster, Ikea, efficiency house, eMotion. Chargemaster expands: The infrastructure provider wants to install 2,000 new charge points, half of them in London. Many will replace old chargers, while around 600 will be entirely new locations. Another 300 chargers currently controlled by Bolloré will also be transferred to Chargemaster’s own POLAR network later this year, which currently includes a total of 4,000 charging stations. Ikea charges ahead: The Canadian branch announced that it will install two 60-amp chargers at all of its 12 locations in the country by the end of August. The stations will be free and supposedly compatible with all EVs sold in Canada. Canadian energy firm Sun Country Highway is in charge of the installation. Europe’s biggest efficiency house opens: The building located in Frankfurt includes 24 apartments, 1,330 solar panels and electric carsharing. The EVs are powered with energy from the building’s own energy storage system. It is supposed to set new standards for energy efficient living. eMotion Zurich draws to a close: As part of a pilot project, 16 people and companies switched to EVs one year ago – not only driving themselves, but also renting out the car. The result: the vehicles drove a total of 100,000 kilometers and 94 percent of users were happy with the carsharing platform Sharoo. It got tight in the lot as 142 electric cars came to a IKEA drive-in theater in Norway. And in this case, no one was bothered by engine noise if the one or other owner chose to drive home early. 1906 Mercedes Mixte hybrid, Ikea sells e-bike. Click tip: Yet another car maker finds its electric roots. Meet the “Mercedes Mixte”, dating as far back as 1906. With its two rear-wheel motors the series hybrid was initially designed for the race track. Shopping tip: Ikea in Austria is now selling the already-assembled Folkvänlig pedelec. The stylish e-bike, which received various awards at the Taipei Cycle Show, Eurobike and the IF Design Award, is available for just 749 euros (1,030 dollars).